Printable home daycare forms are the easiest way to make sure you have all the necessary forms. Check out the entire section. Find the forms you are most comfortable using... then click and print. 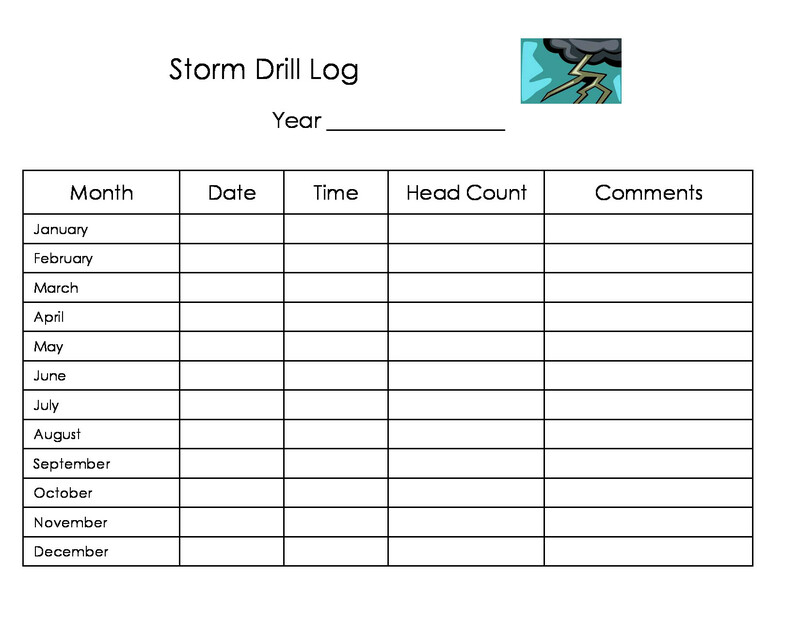 This page offers choices of storm and fire drill logs. In many states storm and fire drills are required. Go to my storm and fire safety page for ideas to make the drills easier. 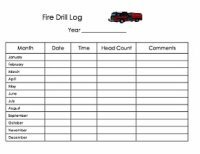 Storm and Fire drill logs make keeping track of drills so simple. Just fill in the information after the month in the spaces provided... and you are done for the month. Fill in the date, the time of the drill, how many children and adults participated in the drill and any comments. Comments may include how long the drill took, if good time was made, or things that could have made the drill better. Set your printer to landscape for these forms! A yearly Fire Drill Log. Simply fill in the information next to the appropriate month. Spaces for the date, time of drill, head count and comments. In some states this form is required. 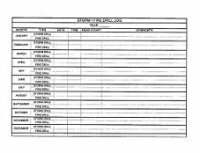 A yearly Storm Drill Log. Fill in the information next to the appropriate month. This form places all the information for both storm and fire drills for the year on one form. Many things can make your times better or worse. Once I had a new child who had been in my daycare only a couple of weeks. This little boy, who was 4, had never participated in a drill. He had been watched by an Aunt prior to my care, and neither his Aunt nor his parents had ever had any type of drill. Well... when the fire alarm went off, he immediately hid behind the couch. The sound was loud and scared him. It took a little coaxing to get him to come out and our drill time was worse than it had been previously. Another time during a storm drill, several of my daycare kids were downstairs. This was not always the case, but the school age kids were downstairs because it was summer and it was cooler downstairs. So, when I called out "storm drill" they were right across the hall from the area we headed to during storms. We made record time that month.